Apple has launched a developer preview of Mac OS X Lion through the Mac App Store this morning. Apparently launching new MacBook Pros and a new version of FaceTime today wasn’t enough for Apple, so they decided to get the first full developer’s preview of Mac OS X Lion out to the App Store for download. Mission Control is a powerful, entirely new feature that unifies Exposé, Dashboard, Spaces, and full screen apps to give you a bird’s eye view of every app and window running on your Mac. With a simple swipe, your desktop zooms out to display your open windows grouped by app, thumbnails of your full screen apps as well as your Dashboard, and allows you to instantly navigate anywhere with a click. Currently we still don’t know a more definitive release date for Mac OS X Lion other than “summer 2011”, but a developer’s preview is a good indication that things are on track to keep that release date. What do you think? 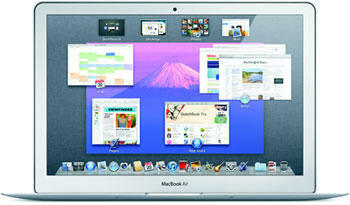 Is there any Mac OS X Lion feature that you are just dying to have?